As full employees, Acme drivers are eligible for competitive benefits. There’s a reason why more than two thousand owner/operators have chosen ACME TRUCK LINE as their business partner. That reason is professionalism. For over fifty years, the people at ACME have worked to build a distinguished reputation for integrity and financial strength and stability. And everyone who works for ACME – from drivers to dispatchers, from terminal managers to computer operators – is part of a team dedicated to serving the customer and keeping the trucks loaded. They’re professionals. When you consider everything, it just makes sense to do business with a company that has the strength and resources to make your business relationship successful. When you choose ACME TRUCK LINE, you’ll join a group of people committed to this goal. 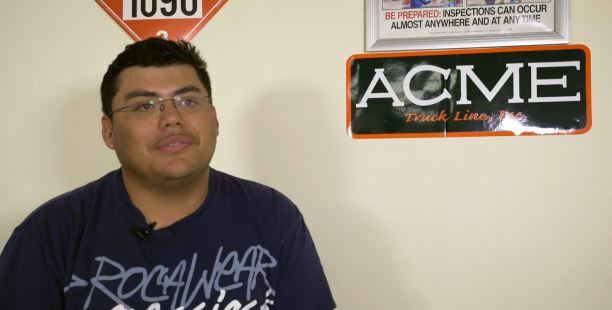 Hear from our drivers about the benefits of joining the Acme team.